As you can see from his YouTube channel, Kyle's materials are well organized, well thought through, and well labeled so that the information we need is easy to find. 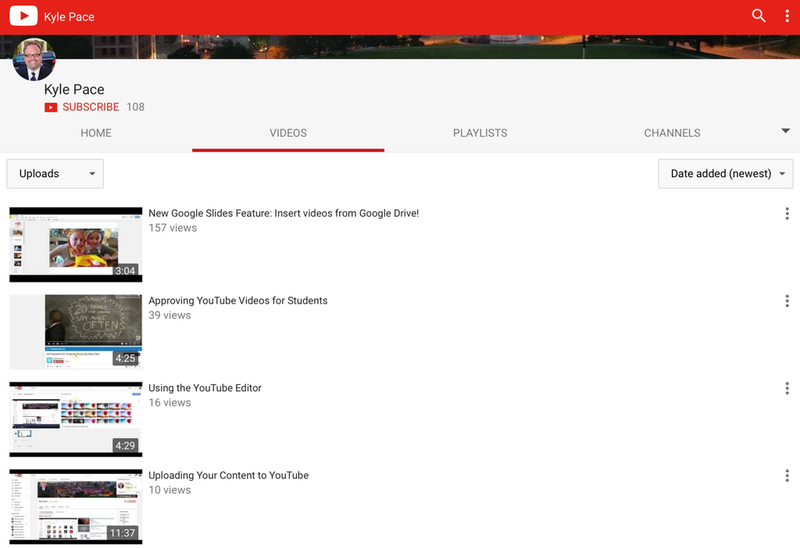 To give you an idea of Kyle's work, here is a video of Kyle discussing how to approve YouTube videos for students (which is important for teachers to know!). Kyle's page has posts that talk about topics such as digital literacy, Google, using videos in the classroom and so much more. His Twitter page and YouTube channel are chalked full of resources for teachers of all topic areas to use. You can access all of Kyle's posts and resources on his page (Learning Is Leading) by clicking the button below. His Twitter page and YouTube accounts are also accessible through the links below. Please check out Kyle's work!